Of course we have a range of beautiful floral designs ready-to-go on our website, but every day we open our boxes of fresh flowers delivered from the markets and discover something truly special that is a one-off. It may be a particular colour or variety of tulip flower, a perfect cut orchid stem, amazing quality freesias, premium poppies or a very, very special rose. By leaving the creative decision up to our team of professional florists, you are guaranteed to get something stunning! 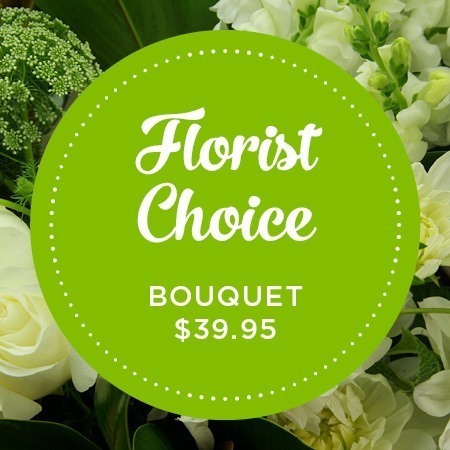 Our `Florist`s Choice` flower posy is typically a shorter stemmed design and is a great choice when you want a sweet gift at a fantastic price. Perfect for simple thank you`s, a birthday present for a friend or colleague, or a lovely token of appreciation for a job well done. 2018-11-16 Service rating : I was really happy with the service, 3 lots of flowers delivered quickly and a notification when they had been delivered. 3 happy daughters who were delighted with their flowers. Product : Very happy, daughter said the flowers were gorgeous.